Self-cleaning screens with steel assembling wires - Sovatec Industriale S.r.l.Self-cleaning screens with steel assembling wires - Sovatec Industriale S.r.l. They are mainly used at plants processing material at high temperature, for example those producing asphalt. The screens are made of steel wires kept at the right position by steel assembling wires. The assembling are usually made in a position corresponding to the traverses of the sieving machine. 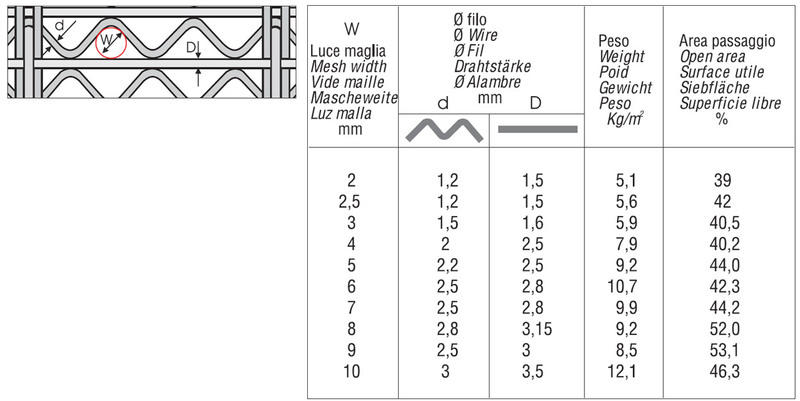 In this type of screens the longitudinal wires crimps are on the same plane of the screening surface. This leads to approximately square openings, having the side in proportion to the pitch of crimped wire. By this kind of opening TEXO-CAR screens ensure an exact calibration of the different grains sizes. They are a further step ahead of the sieving technique. These screens nearly completely eliminate the clogging thanks to different vibrations and swings of the longitudinal wires, due to the diameter difference. 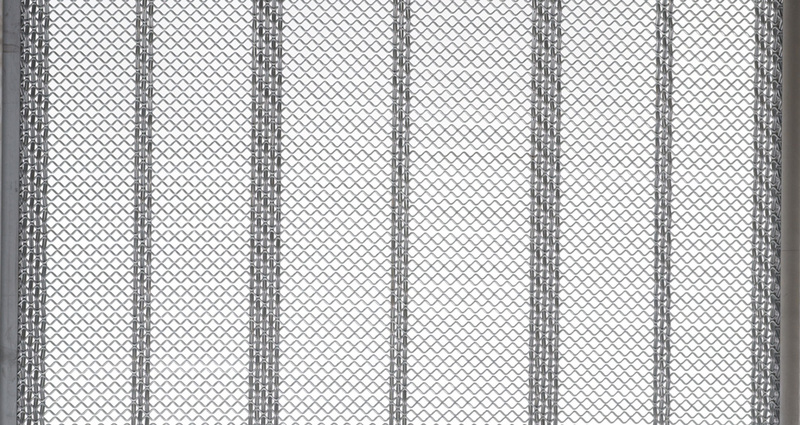 TEXO-TRI screens differ from TEXO-CAR for the triangular opening obtained by alternating a crimped wire with a straight wire of thicker diameter.